Day of travelling today. Left my hotel in Amsterdam and began the 4 plus hour drive to Nurburg in Germany. Unfortuantley I just missed the season by a month to see the hills of The Netherlands covered in tulips which was a bummer. I did my very best to keep to the speed limits as this place is like Melbourne, speed cameras and traps everywhere. At one stage of the journey I was averaging 31.8 mpg (8.9 litres per 100 kms) which is pretty good going from the V10 Audi i thought. Though that figure dropped as soon as I crossed the border into Germany. Autobahn country, happy Days. I didn't actually realise that the speed restrictions had ceased as I couldn't understand the bloody road signs. But when a Daewoo Matiz (all .8 litre engine of it) passed me doing about 150 odd kph I gave it one quick squirt and reached 200kph very quickly. I backed off as traffic was building up and speed limit signs started flashing overhead. After some time the road became clear again and gave it another quick squirt this time reaching 221 kph with absolute ease. Oh, I was in heaven. I reached my Bed and breakfast in Nurburg around mid afternoon then had a quick look around the town, which is very tiny. I got to the track at closing time so basically no one was around but i did have a little look through the massive centre that is there and has all these car displays of porsche, M series BMW's etc. I had been in town for all of 5 minutes and I saw a Porsche Carrera GT (all $350k odd grand worth), Aston Martin DB9's, three of them, Audi RS4 and a heap of bikes. I could hear one car screaming down the straight as I drove by, sounded nice. 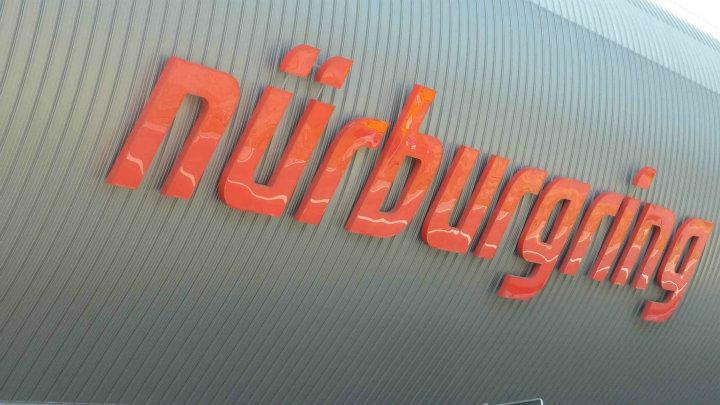 So thats where I'll be heading tomorrow for a better look around the famous Nurburgring track. On another note I absolutely LOVE the countryside here in Germany. Nurburg is out of the way a but and surrounded by very very small country villages, so small that if you blink you've missed it kind of thing. Just stunning to drive through the very narrow streets and see the old village buildings. I can't wait to explore more of these little towns as I'm here.